Sree Buddha College of Engineering provides world class infrastructure, state of the art facilities and an academic ambience that suit the requirements of the dynamic and highly competitive global environment.In this era of Information Technology, this institution offers courses in Computer Science and Engineering with the objective of imparting quality to equip the students with a solid and thorough understanding of the fundamentals and core subjects of Computer Engineering. The Department of Computer Science and Engineering was established in the year 2002. At present the sanctioned intake is 60 with a provision of admitting six diploma holders in the third semester under lateral entry scheme. The department also offers M Tech programme specialized in Computer Science and Engineering from the year 2011. The sanctioned intake at present is 18. The department has well experienced faculty with postgraduate and doctoral qualifications from prestigious institutions with many publications to their credit. The faculty members regularly update their skills by attending and organizing refresher courses in their areas of specialization. 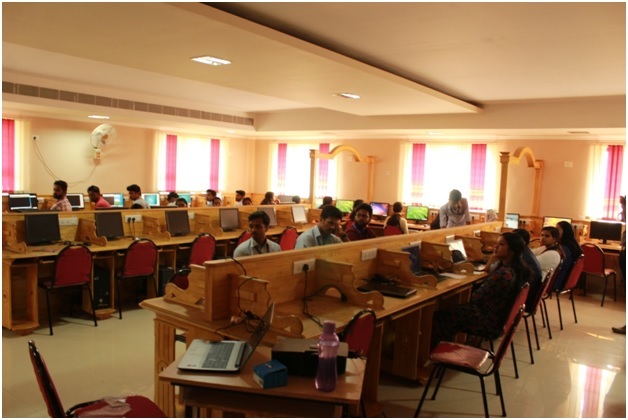 The department introduces into its technical arsenal various student branches like Computer Society of India (CSI) and Association for Computing Machinery (ACM). The department manages the Remote Centre for IIT Bombay and the college membership of NASSCOM. It also has a department association named CYBORG which has a very active participation from students as well.Invited lectures by experts drawn from Industries and Academicsare arranged regularly. The department has well equipped laboratories andcomputing facility. In addition to the Central library there is a department library. Moreover it has a good collection of project reports, seminar reports, different journals and technical magazines. Impart skills and creative thinking ability to promote lifelong learning. Apply the knowledge of mathematics, science, engineering fundamentals and an Engineering specialization to the solution of complex problems in Computer Science and Engineering. Identify, formulate, review research literature and analyze complex Computer Science Engineering problems reaching substantiated conclusions using first principles of mathematics, natural sciences and engineering sciences. Design solutions for complex Computer Science Engineering problems and design system components or processes that meet the specified needs with appropriate consideration for the public health and safety and the cultural, societal and environmental considerations. Use research based knowledge and research methods including design of experiments, analysis and interpretation of data and synthesis of the information to provide valid conclusions related to Computer Science Engineering. Ability to create, select, and apply appropriate techniques, resources and modern engineering and IT tools including prediction, modeling and analysis to complex Computer Science Engineering activities with an understanding of the limitations. Understand the impact of the professional engineering solutions in societal and environmental contexts and demonstrate the knowledge of and need for sustainable development. Communicate effectively on complex engineering activities with the engineering community and with society at large, such as, being able to comprehend and write effective reports and design documentation, make effective presentations and give and receive clear instructions. PSO1. Apply standard practices in software project development using the open source environment to deliver a quality product. PSO2. Analyze and develop computer programs using modern programming languages . Dr. S.V. 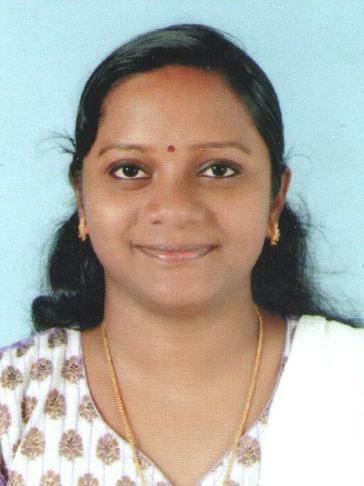 Annlin Jeba received her B.E degree in Computer Science and Engineering from Manonmaniam Sundaranar University in 2000, M.E degree in Computer Science and Engineering from Anna University in 2004 and PhD in Information and Communication Engineering from Anna University in 2014. She has got 16 years of teaching experience in various Engineering colleges and 4 years of research experience. 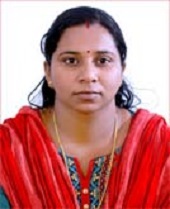 She started his teaching career as Lecturer in Computer Science and Engineering Department at Sun College of Engineering and Technology in 2000. From 2004 to 2005 she was an Assistant Professor in N.I. College of Engineering. She worked as an Associate Professor in Computer Science and Engineering Department at C.S.I. Institute of Technology from 2005 to 2017. 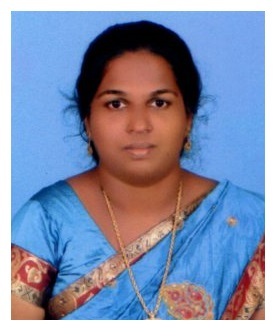 In 2018 she joined as a faculty in Department of Computer Science and Engineering of Sree Buddha College of Engineering. She has published 10 papers in International Journals and presented more than 15 papers in National/International conferences. Her research interest includes privacy issues in Wireless Sensor Networks, Network trust and security in wireless communication. 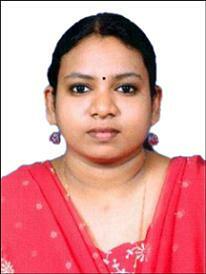 She was a research supervisor under Anna University Chennai. She is serving as a member organizing committee, Doctoral Committee member, Session Chair of multiple National/International conferences. She is a life member in Indian Society for Technical Education. MICROSOFT CAMPUS AGREEMENT – latest software made available. Internationally certified training programmes from Microsoft, Cisco and Sun Microsystems in tie up with Logics. The department is having the following labs with LAN, loaded with dual Operating Systems Linux and Windows. Licensed versions of latest tools for developing front end and back end are available. Third Semester B Tech Computer Science & Engineering Student for securing 10 out of 10 (CGPA) in the Second Semester University Examination conducted by APJ Abdul Kalam Technological University in April 2018. 2.Mr. Adithya V, S6 CSE won first place in web design as part of EKA 18, techfest organized by College of Engineering, pathanapuram on 12th and 13th March 2018. 3.Mr. Adithya V, S6 CSE won first place in Markup as part of ASTHRA 2018 organised by St. Joseph’s College of Engineering and Technology, Palai on 16th and 17th February 2018. 4.Mr Amal R, s6 CSE won second place in Graphicsd Geek as part of National level IT Fest Technitrous 2K18 MACFAST, Thiruvalla on 11th and 12th January 2018. 5.Mr. Ankith K ,S4 CSE won first place in Mini Militia as part of SWASTHIKA 2018 organised by Mar Baselios College of Engineering, Peerumade on 8th and 9th February 2018. 6.Mr. Adithya V, S6 CSE won first place in Spot Web as part of MAGNUM’18 held at College of Engineering, Chengannur on 12th, 13th and 14th January 2018. 7.Mr. Adithya V, S6 CSE won first place in Web designing as part of ADVYKA 2018 organised by at College of Engineering, Perumon on 16th and 17th February 2018. 8.Mr. 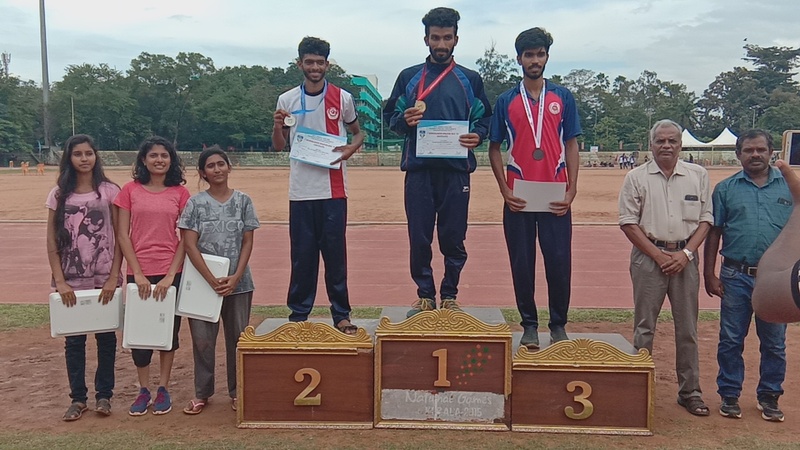 Akhil P Kumar, S4 CSE won first place in Mini Militia as part of SWASTHIKA 2018 organised by Mar Baselios College of Engineering, Peerumade 8th and 9th February 2018. 16.Ms.Neenu Ann Shaji has completed 5 days training programme of the Naional Lavel Youth Entrepreneurship Development program during the year 2015-2016 conducted by Rajiv Gandhi National Institute of Youth Development ,Govt of India & ICT Academy of Tamil Nadu. 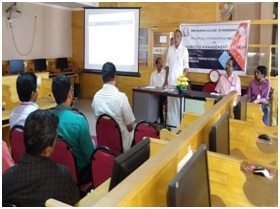 An One day symposium titled ‘WORKSHOP ON WEB APPLICATION DEVELOPMENT USING NODE JS was organised by the Dept of computer science and Engineering of SBCE on 20.03.2019. 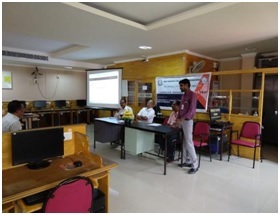 This workshop was conducted in association with ICFOSS off the job training scheme at Project Lab, Computer Science Block. The event was officially inaugurated by Dr S V Annlin Jeba, Head of Dept. CSE. The resource person for the session was Mr Anish S Nair, M/s. Logix Space Technologies. Pvt. Ltd. Pandalam, Alappuzha. Trainer gave immense information from introducing the FOSS technology to the participants. He discussed various platforms available for web development and gave a brief introduction about that. Since he has given clear idea about the basics of Node JS and Express and also provide hands on training of the technology, all the participants got collective and useful information about the title. Major achievement of the workshop was everyone explore the opportunity to develop their own app using Node JS. We received good feedback about the event and the way of organising by our department. The workshop was satisfactorily completed at 3 .30 p.m with a validatory function and certificate distribution. 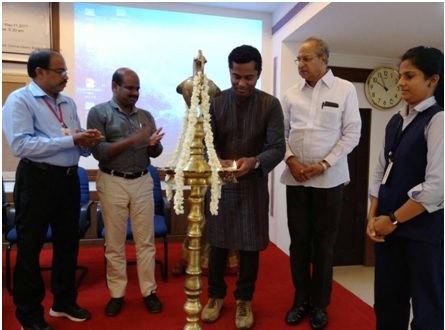 An Technical Expo “Tequora 19” was conducted by the students of Computer Science and Engineering Department in association with CYBORG as a part of the techncal Xplore 19 which was inaugurated by Mr. Suresh Kumar, for school students. The expo included recent technologies like IOT projects, Virtual reality, Mixed Reality, OS Evolution, Hardware expo, Augmented Reality, Mini Fablab. More than 1000 students from various schools came for the expo. The School students were given awarenes about various new technologies in Information and technology field. The OS Evolution included the history of operating system and also various operating systems. Almost all the harware components of the computer were exhibited which included vacuum tubes, Floppy disk, Different harddisk, Mother boards, etc.Various projects done by the students were also exhibited which included Smart door locking system. 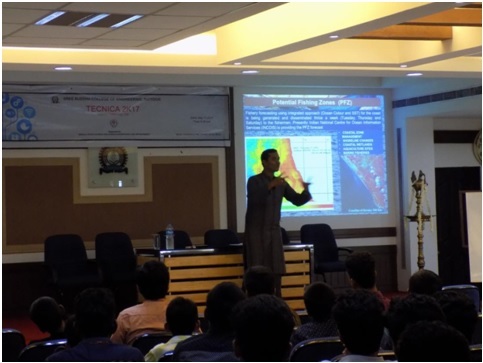 Under PRABHODANA-“Enlightenment Through Science” ,a programme jointly organized by the Kerala State Council for Science,Technology & Environment and Sree Buddha college of engineering, under science popularization scheme conducted a talk on “Digital Life” by Mr. Gopu Darsan, Asst. Prof., Department of CSE on 26th October 2018 at Govt. VHSS,Chunakkara. The objective of program was to aware the student about the recent technology improvements in day to day life. 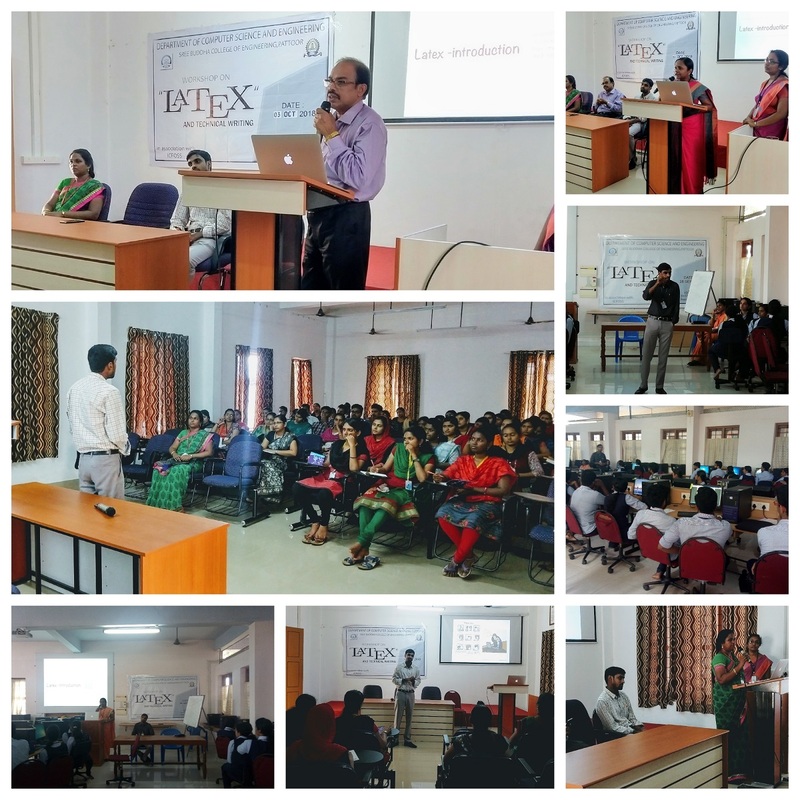 Two-day national level symposium titled “WORKSHOP ON LATEX AND TECHNICAL WRITING” was organized by the Department of Computer science and Engineering (CSE) of Sree Buddha College of Engineering (SBCE) for the final year UG Students on 28.09.2018 and PG students on 03.10.2018. During registration started, we received an excellent response from the students and hence it was decided to conduct the work shop on two days for UG and PG students separately. This workshop was conducted in association with ICFOSS off the job training scheme at the Systems Lab, Main Block of college building on 28.09.2018 and at the Seminar Hall of CSE block on 03.10.2018. The faculty of sessions was Prof. Gopu Darsan, Assistant Professor, Department of CSE, SBCE. The event was officially inaugurated by Dr. S. V. Annlin Jeba, Head of Dept. of CSE by 8.30 a.m. and the contestant’s strength was forty-five (45) from the final year UG students of various department of our institution. The sessions has started followed by Registration. We received superior feedback about the event. The first day was satisfactorily completed at 4.00 p.m with a validatory function and certificate distribution to the participated 45 students studying in Final year of B Tech batch. As usual, started with registration and officially inaugurated by the Principal Dr S Suresh Babu by 1.00 p.m. 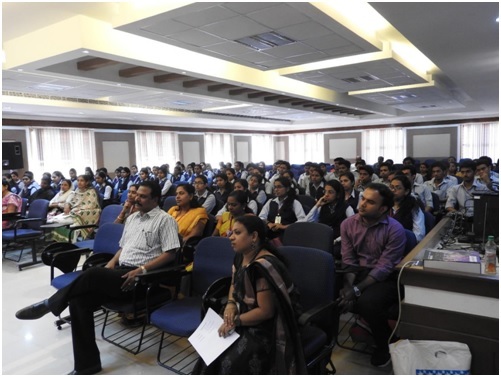 The strength of participants was fifty six (56) who were enrolled as scholars for the PG program in SBCE. The workshop comes to an end with a validatory function and certificate distribution. The resource person in two days gave immense information from introducing the FOSS technology to the UG and PG students of SBCE. He discussed various advantages and possibility of Latex in technical writing. Presented the methodology to overcome the difficulties faced during the report writing using MS Word. Expressed typical examples about IEEE journal writing and how the reference shall be added automatically to the Thesis report and Journal paper. Explains the basics of technical writing using Latex to enable the participants to create their own report during the hands-on training session and hence the workshop was a fruitful program in terms of knowledge sharing and created a platform for the students to work on FOSS technologies. 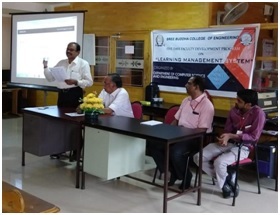 A five-day Faculty Development Programme (FDP) on Learning Management System (LMS) was organized by the Computer Science and Engineering Department of Sree Buddha College of Engineering on 21, 22 & 31 of May and 25 & 26 of June 2018. 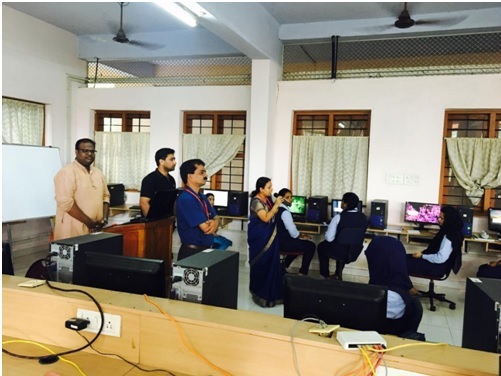 The aim of the programme was to make the faculty members of the college aware of the various Learning management systems available. Practical sessions were conducted on the Moodle LMS. Thirty six faculty members from various departments of the college attended the course. All the sessions are held at Internet lab in Library Block of the college. On each day of the FDP, lecture sessions are conducted in the forenoon, which was followed by lab sessions in the afternoon to give hands-on experience. The FDP started with an inaugural session held at 9:30 am on 21 May 2018. 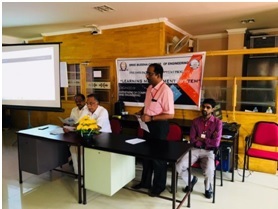 Dr. R. Gopakumar, Convener gave an outline of the course and welcomed Prof. K. Sasikumar, Hon’ble Chairman of Sree Buddha Group of Institutions, Dr. S. Suresh Babu, Principal of Sree Buddha College of Engineering, resource persons and participants of the FDP. Dr. Suresh Babu stated his aspirations about the course in the presidential address. 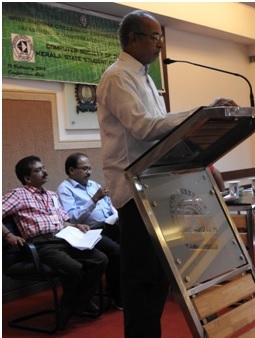 Prof. Sasikumar inaugurated the FDP and addressed the participants. The inaugural session ended with the Vote of Thanks given by Mr. Gopu Darsan, Course Coordinator. An one week Faculty Development Programme on ‘THEORY OF COMPUTATION’ was organized by Department of Computer Science of Sree Buddha College of Engineering from 04th June 2018 to 09th June 2018. The inaugural function was held at Room no. C108, CS Block. 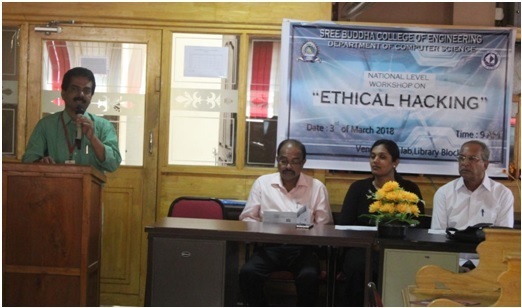 The Workshop was inaugurated by Prof. Anil A. R., Head, Dept. Of CSE, Sree Buddha College of Engineering. 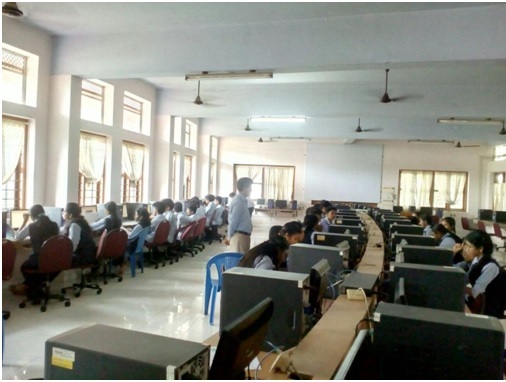 The goal of the Programme was the training of Theoretical Foundations of Computation for Computer Science faculties and PG scholars. The course module was planned according to KTU syllabus of 5th semester CSE subject ‘Theory of Computation’. The 6 days sessions covered all the areas in Theory of Computation and sessions were very informative to participants especially faculties. On 09th June 2018, after the sessions were over, participants shared their experience and gave feedback about the programme. All the participants were satisfied as the FDP met their expectations and shown interest in attending such programmes in future. The certificates were distributed to participants by Prof. Anil A R, Head, Dept. Of CSE, SBCE. An One day national level symposium titled ‘WORKSHOP ON RUBY ON RAILS’ was organised by the Dept of computer science and Engineering of SBCE on 09.03.2018. This workshop was conducted in association with ICFOSS off the job training scheme at our Net Lab. The event was officially inaugurated by Prof Anil A R, Head of Dept. CSE. The faculties of the session were Ms.Anjana and Mr. Vishnu who are well known trainers of the field working as ruby developers in M/s. Red Pathers, Kakkanadu, Cochin. The sessions has started followed by Registration. Trainers gave immense information from introducing the FOSS technology to the participants. They discussed various job opportunities of ruby on rails as well. Since they have given clear idea from basic of Ruby to hands on training of the technology, all the participants got collective and useful information about the title. Major achievement of the workshop was everyone explore the opportunity to develop their own app using ruby on rails technology. We received good feedback about the event and the way of organising by our department. The workshop was satisfactorily completed at 4.00 p.m with a validitory function and certificate distribution. Department of Computer Science and Engineering inaugurated the association activities for the academic year 2017-18 on 08th March 2018 at the Seminar hall, library block by Ms. Prathibha Santhosh (Free lance trainer) who has more than 15 years of experience in IT industry. 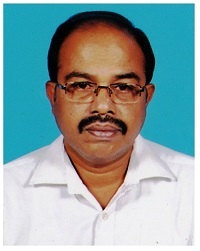 Mr. Gopu Darsan (Assocition coordinator), Assistant Professor, Dept. Of CSE welcomed the gathering. The presidential address was delivered by Dr. S Suresh Babu, Principal, Sree Buddha College of Engineering. The programme was inaugurated by the chief guest by lighting the lamp. Sri K K Sivadasan, Treasurer, SBCE, gave the felicitation. 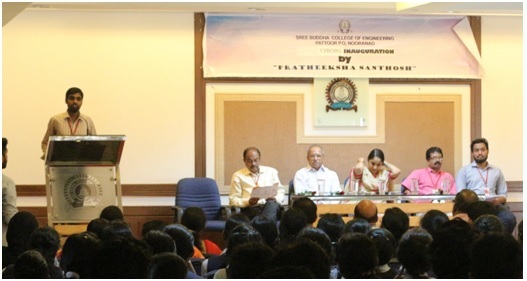 After the inaugural session Ms. Prathibha Santhosh, gave a motivational speech to the students of Computer Science and Engineering Department. 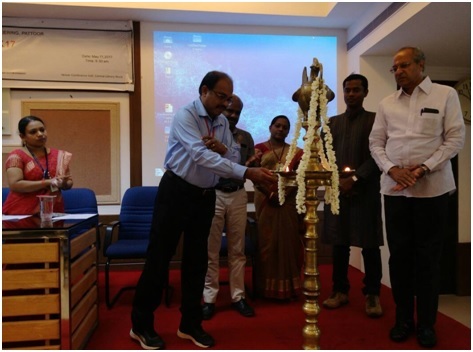 As part of the Association inauguration, a technical expo was conducted by the students of Computer Science and Engineering Department which was inaugurated by Sri K.K. Sivadasan, Treasurer, SBCE for school students. The expo included recent technologies like IOT projects, Virtual reality, OS Evolution, Hardware etc,. More than 150 students from various schools visited the expo. 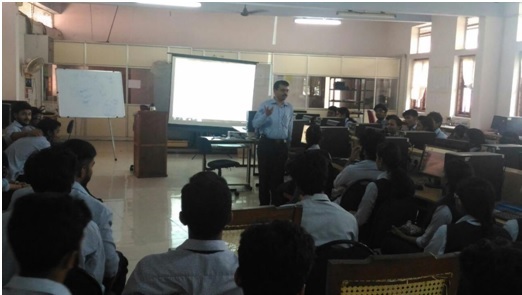 IIT Bombay in collaboration with J. P. Morgan, is conducting a course on Technical Skills, in a series of four short courses under the ‘College to Corporate’ program. The program is primarily targeted at pre-final and final year students, to help them prepare or the corporate world, and perform better in the recruitment process. Sree Buddha College of Engineering has offered this course to 6th semester Computer Science students. The first phase of the online activity (face to face interaction) was on 24/02/18, second interaction was on 10/03/18 and third interaction was on 17/03/18. Out of 42 registered students 36 attended the first phase, 17 attended the second phase and 10 attended the last interaction. The online activity was scheduled from 2.00 pm to 5.30 pm. The first session of day 1 was on ‘Demystifying Blockchain’ and the second session was on ‘Introduction to Artificial Intelligence’. The day 2 was on ‘Introduction to Asset Exchange Case Study’. The first session of day 3 was on ‘SDLC’ and second session was on ‘Matching Engine Demo’. 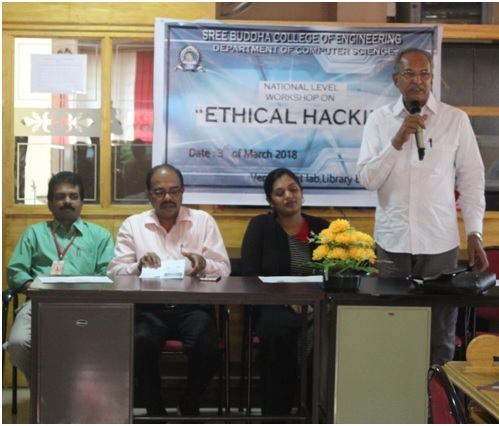 A National Level Workshop on ‘ETHICAL HACKING’ was organized by Department of Computer Science & Engineering of SBCE in association with Computer Society of India Division II, on 3rd of March 2018 for the B. Tech students. 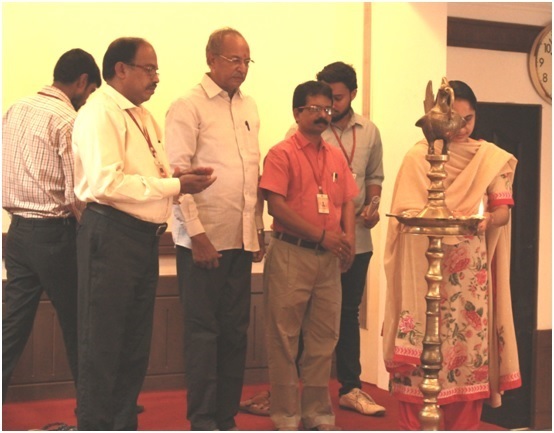 The inaugural function was held at NET Lab, Library Block. Prof. Anil A. R., HOD-CSE welcomed the gathering. The Workshop was inaugurated by Sri. 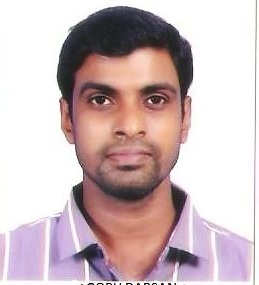 K. K. Sivadasan, Treasurer, Sree Buddha College of Engineering. The Presidential Address was delivered by Dr. S. Suresh Babu, Principal, Sree Buddha College of Engineering. Mr. Arun .P .S, Workshop coordinator proposed the Vote of Thanks. 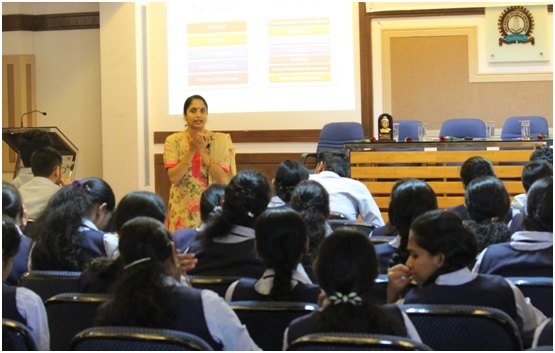 The sessions were led by Ms. Suma R, an experienced, skilled information security Entrepreneur/Evangelist/trainer with more than 7 years of experience in the Information technology field. 45 participants from different colleges attended the workshop. The morning session focused more on networking fundamentals and basics of ethical hacking using ‘Kali linux’ and ‘Windows XP’. The afternoon session focused on practical sessions on hacking android mobile phones and web sites and about different hacking tools. Hands-on sessions were very informative to participants. 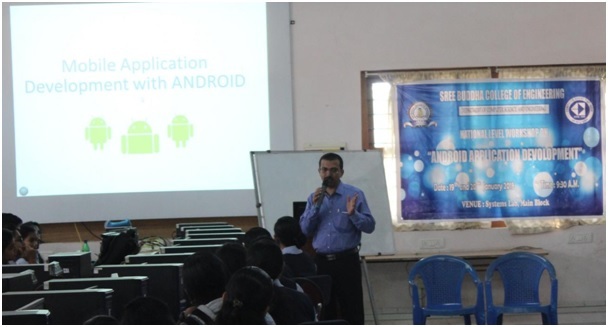 A National Level Workshop on Android Application Development was organized by Computer Society of India Student Branchof Sree Buddha College of Engg. in association with CYBORG on 19th and 20th of January, 2018 for the B. Tech Computer Science and Engineering students. 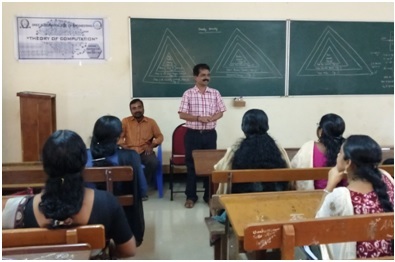 The sessions were led by Prof. Shiju Thomas M. Y., Assistant Professor, Department of CSE, Rajagiri College of Social Sciences. The workshop was organized in two days. The morning session of day 1 focused more on configuring the environment and android basics and the afternoon session focused on practical sessions on developing simple android applications. The second day of workshop focused on menu programming, internet programming, SQLite programming etc. The sessions were attended by 57 students and the classes were very informative for them. As part of Design project subject to the S5 students of KTU, the Department of Computer Science and Engineering of Sree Budha College of Engineering has arranged and successfully completed a training session for the topic “DEVELOPMENT LIFE CYCLE OF A SOFTWARE- AGILE SCRUM MODEL” on 13.09.2017 from 10.00 a.m. to 1.30 p.m. at Seminar Hall of the Department. 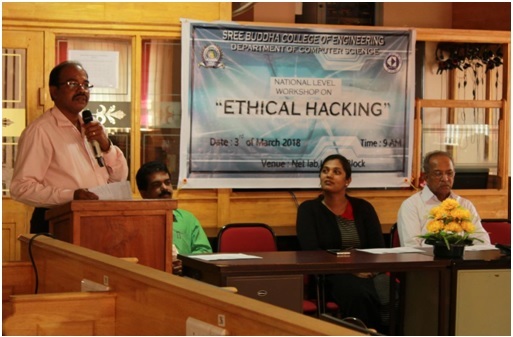 The programme was arranged as an activity of CSI (Computer Society of India) Student chapter, SBCE Pattoor. 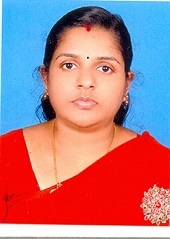 The internal faculty Ms. Keerthi A S Pillai, Asst. Professor of the Department was the co-ordinator of the programme. Out of 52 students 39 students attended the programme. The resource person was Mr. Arun, Software Developer at Linways Technologies Pvt. Ltd. He has handled session on the various steps of the development of a software in an IT firms. He has given a clear idea about how the Design of a project can be formed. Since this was an interactive session, all students attended the session got an idea and knowledge on the design of a software. 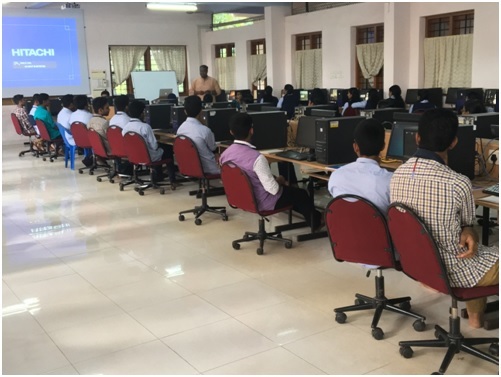 As part of Design project subject to the S5 students of KTU, the Department of Computer Science and Engineering of Sree Budha College of Engineering has arranged and successfully completed a training session for the topic “DEVELOPMENT LIFE CYCLE OF A SOFTWARE” on 26.08.2017 from 10.00 a.m. to 1.30 p.m. at Seminar Hall of the Department. 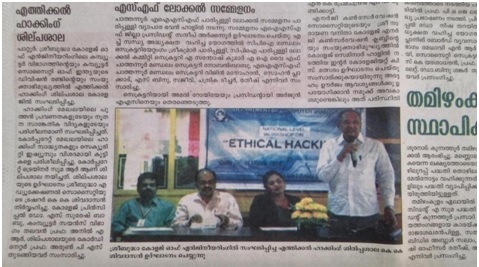 The programme has arranged as an activity of CSI (Computer Society of India) Student chapter, SBCE Pattoor. The internal faculty Mr. Arun P S and Ms. Keerthi A S Pillai, Asst. Professors of the Department are the convenors of the programme. Out of 52 students 40 students attended the programme. The faculty Mr. Manoj M, Director of M/s. Macfos Pvt ltd a Software developer has conducted a wonderful session on the various steps of the development of a software by a team. He has given a clear idea about how a Design projects can be formed. 2. Use the various projects of students as separate modules of the Information system so that the final product will be a Campus Management System. The topic entails an interactive session about the stages of a Software development on the above said portfolio and discussed the various responsibilities of Team members, Team leaders and Group captain of a Software development team. Since this was an interactive session, all students attended the session got an idea and knowledge on the design of a software. 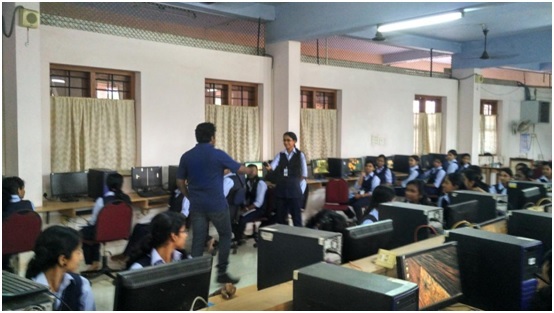 A two day Workshop in Python was organized by ComputerSociety of India Student Branch of Sree Buddha College of Engg. on 28-29 July, 2017 for the First year B. Tech CSE students. The sessions were led by Mr. Arunanand T. A., HR Head, FullContact Technologies Pvt. Ltd. and Mr. Arun N A., Technical Manager, FullContact Technologies Pvt. Ltd. 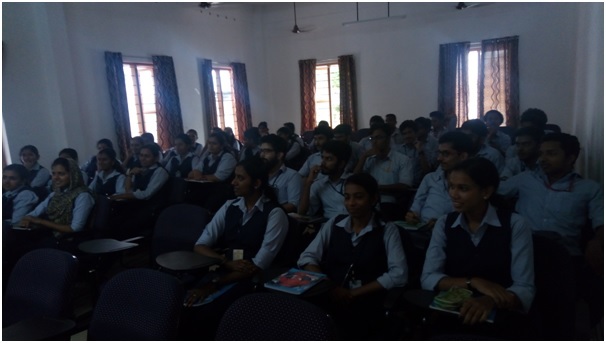 The session was attended by 56 students and the classes were very informative for them. Since the resource persons started the session from the basics of Python Programming, it could be followed even by a beginner. An online post-workshop feedback was also taken from the participants after the workshop. 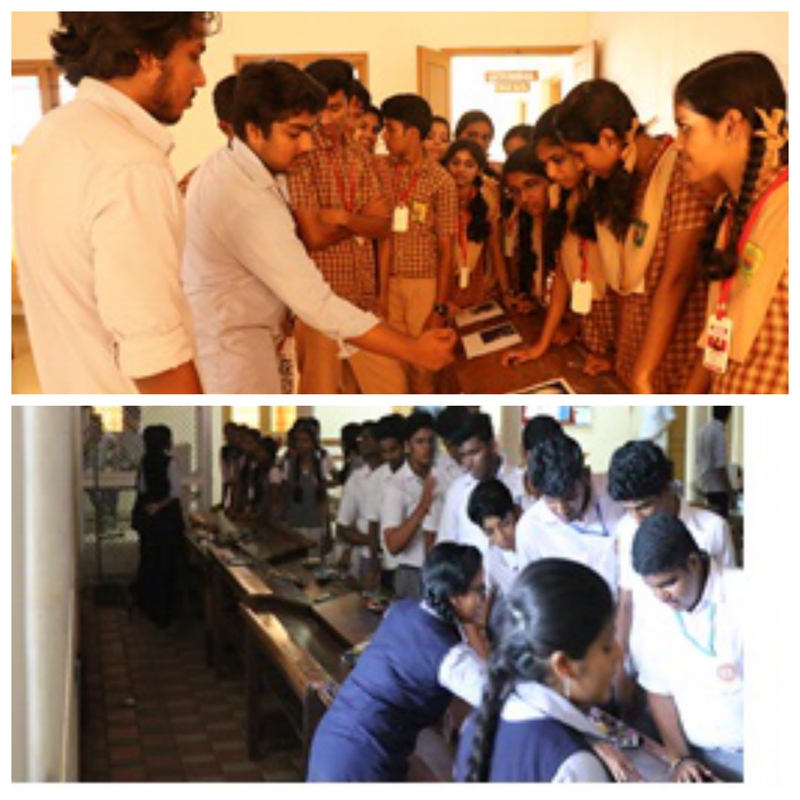 The Department of Computer Science and Engineering of Sree Buddha College of Engineering organized TECNICA 2K17 in connection with the Observance of National Technology Day supported by Kerala State Council for Science, Technology and Environment on May 11, 2017 for the school students. TECNICA 2K17 was inaugurated by Shri. Syam Krishnan, Engineer/Scientist, Vikram Sarabhai Space Center, Thiruvananthapuram. He touched upon the impact of technology in different walks of life. 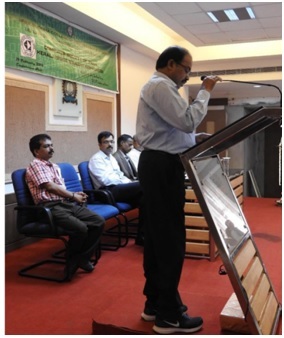 The Presidential Address was delivered by Dr. S. Suresh Babu, Principal, Sree Buddha College of Engineering, Pattoor. He spoke about the theme of this year “Technology for Sustainable Development”. He urged the students to look around and study the problems that the society is facing these days and see how technology can be used to solve these problems. Shri. 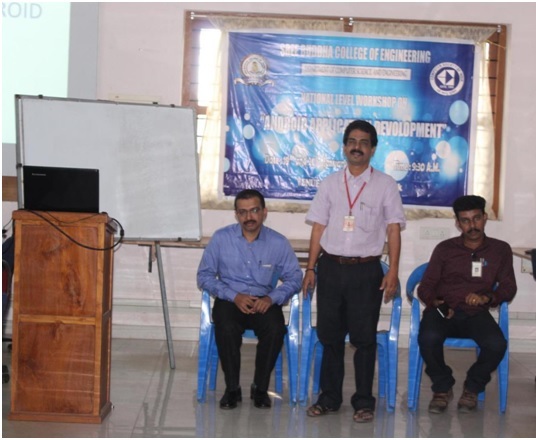 K. K. Sivadasan, Treasurer, Sree Buddha College of Engineering and Dr. M. V. Rajesh, Head of the Department, Department of Electronics and Communication, College of Engineering, Poonjar offered their felicitations to the function. The first session was handled by Shri. 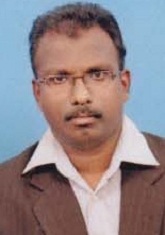 Syam Krishnan, Engineer/Scientist, Vikram Sarabhai Space Center, Thiruvananthapuram. He talked upon the topic “Space Technology and its Applications”. He touched upon the importance of technology in Space missions and had a very interesting and interactive session with the audience. 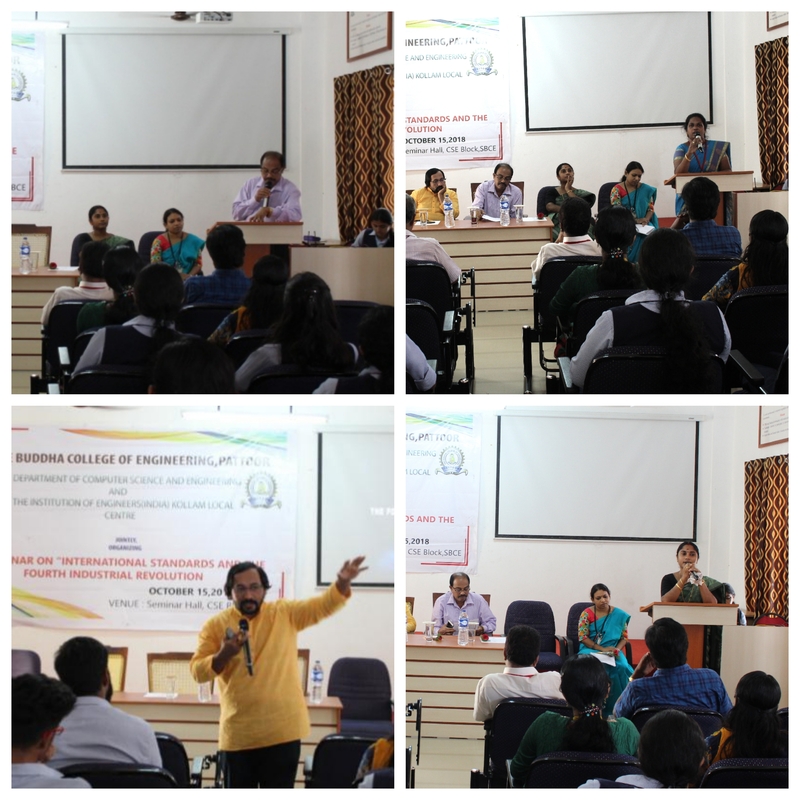 The second session was handled by Dr. M. V. Rajesh, Head of the Department, Department of Electronics and Communication, College of Engineering, Poonjar. He took a very interesting and informative session on “Internet of Things”. The wide range of applications of IoT was a new experience for the participants and encouraged them to think about innovative solutions for a better living. 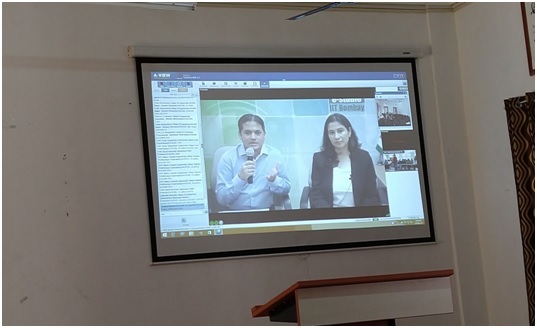 The invited talks were followed by a project presentation by the final year students of SBCE, namely, Mr. K. N. Mohammed Sayed, Ms. Drishya Gopakumar, Ms. Ruhin Mary Saji and Mr. Harish Kumar on the project titled Smart Garbage Management in Cities using IoT. This project deals with the implementation of smart garbage management system using sensors, microcontrollers and GSM module which assures the cleaning of dustbins soon when the garbage level reaches its maximum. If the dustbin is not cleaned in specific time, then the record is sent to the higher authority who can take appropriate action against the concerned contractor. This system also helps to monitor the fake reports and hence can reduce the corruption in the overall management system. This project won the Best Paper Award in the National Conference on Eco-friendly Technological Innovations for Sustainable Development (Stream: – CS). Computer Science & Engineering department organized a Technical workshop on free and open source software (FOSS) lab in association with Post Graduate interdisciplinary forum on 29th March and April 3rd 2017 at, 1:00 pm, at Digital Library, Library Block. 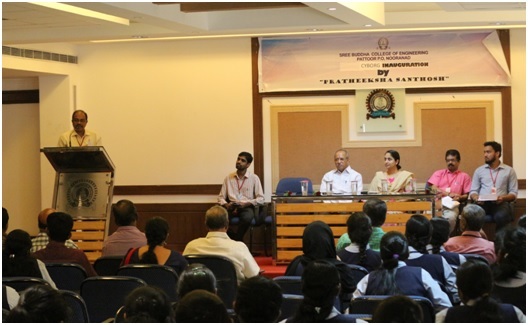 PG Coordinator Ms. Minu Lalitha Madhavu addressed the students and introduced the faculty members handling the sessions. 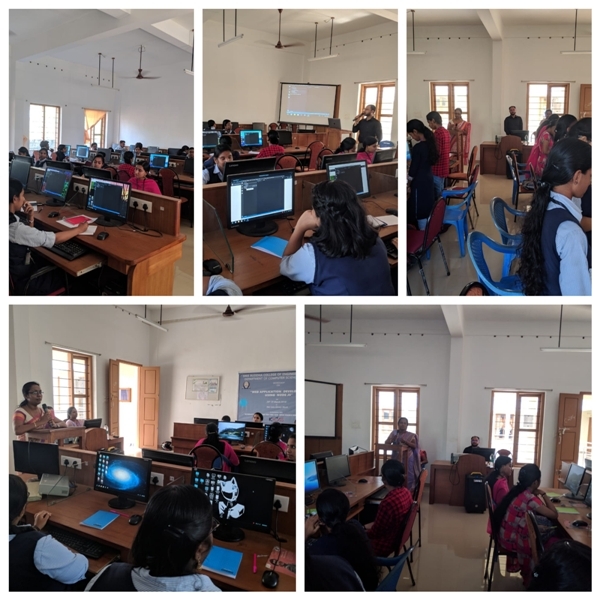 The session started at 1:05pm.Ms Soumya Murali, Asst Professor computer science and engineering Department gave an introductory session of FOSS.Mr Jayaprakash,Harware and network engineer SBCE gave a practical session on Open source software tools.Ms. Disha. 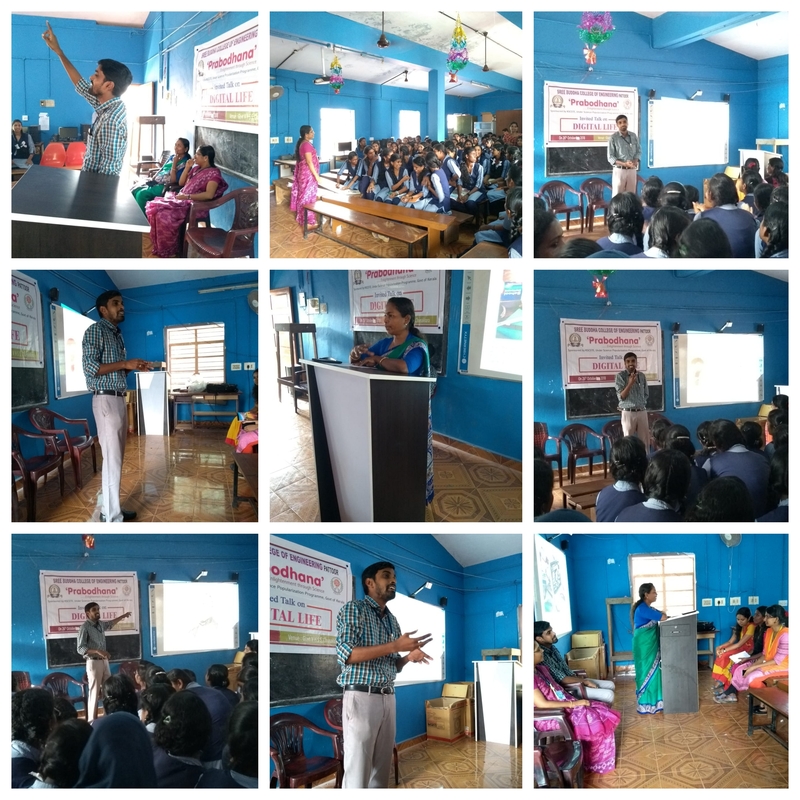 Librarian SBCE gave an awareness on e-resources. For the free and open source software lab all the systems in the digital library was installed with Ubuntu. Free and open-source software (FOSS) is computer software that can be classified as both free software and open-source software.That is, anyone is freely licensed to use, copy, study, and change the software in any way, and the source code is openly shared so that people are encouraged to voluntarily improve the design of the software. This is in contrast to proprietary software, where the software is under restrictive copyright and the source code is usually hidden from the users. A one day Workshop in C Programming was organized by Computer Society of India Student Branchof Sree Buddha College of Engg. on 18 March, 2017 for the S2 B. Tech Computer Science and Engineering students The sessions were led by Prof. Shiju Thomas M. Y., Assistant Professor, Department of CSE, Rajagiri School of Computer Science. The workshop was organized as two sessions. The morning session focused more on basics of C programming and the afternoon session focused on practical sessions. The sessions were attended by 45 students and the classes were very informative for them. A one day Workshop in Basics of Java Programming was organized by Computer Society of India Student Branchof Sree Buddha College of Engg. on 27 February, 2017 for the S4 B. Tech Computer Science and Engineering students. 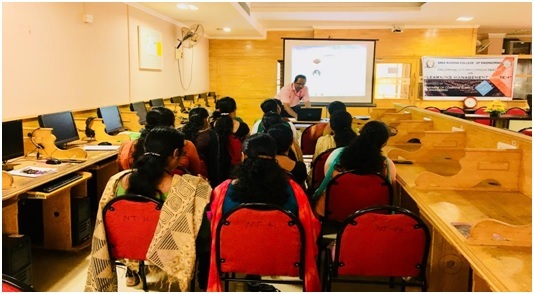 The sessions were led by Prof. Shiju Thomas M. Y., Assistant Professor, Department of CSE, Rajagiri School of Computer Science. The workshop was organized as two sessions. The morning session focused more on basics of object oriented concepts and the afternoon session focused on practical sessions on Java Programming. The sessions were attended by 51 students and the classes were very informative for them. Computer Science & Engineering department organized a Technical workshop on free and open source software (FOSS) lab in association with Post Graduate interdisciplinary forum on 17th October 2016, 1:00 pm, at conference hall, LibraryBlock. Inaugural session started with prayer. Dr. S. Suresh Babu, Principal Sree Buddha College of engineering, HOD’s from all departments, PGcoordinators of various departments, Faculties, Final year PG scholars attended the program.PG Dean, Dr.EK Bhass gave an introduction on the free and open source software lab.He explained about the various benefits of Foss lab compared to the traditional software’s available today. He also mentioned that Foss gives us the freedom to run a program, for any purpose, the freedom to study how a program works and adapt it to a person’s needs.Dr.S. Suresh Babu addressed the PG scholars. He mentioned about the importance of using Digital library. He advised all the PG scholars to utilize all the facilities provided by the college library. The benefits of using FOSS include decreasing software costs, increasing security and stability (especially in regard to malware), protecting privacy, and giving users more control over their own hardware. Free, open-source operating systems such as Linux and descendants of BSD are widely utilized today, powering millions of servers, desktops, smartphones (e.g. Android), and other devices. Free software licenses and open-source licenses are used by many software packages. A one day Workshop in C Programming and Data Structures was organized by Computer Society of India Student Branchof Sree Buddha College of Engg. on 17 October, 2016 for the S3 B. Tech Computer Science and Engineering students. 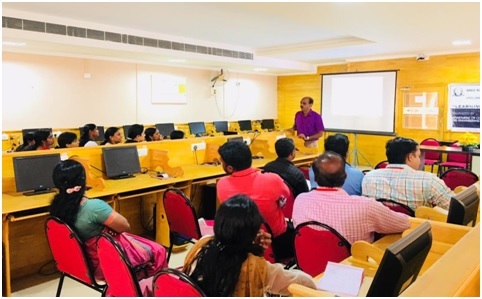 The sessions were led by Prof. Suresh Kumar N., Associate Professor, Department of CSE, College of Engineering and Management, Punnapra, Alappuzha . The workshop was organized as two sessions. The morning session focused more on basics of C programming and the afternoon session focused on Data Structures. The session was attended by 47 students and the classes were very informative for them. “IAmPower” is an initiative of IIT Bombay (IITB),as part of the annual science and technology festival of lIT Bombay. Under this initiative, IITB organized workshops in collaboration with ACM-W at ACM Chapters in Indiawith a vision for enabling Indian community to excel in Science, Technology, Engineering and Mathematics. 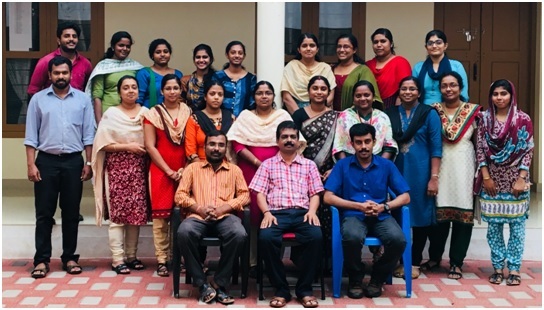 Sree Buddha College of Engineering, Pattoor has an active ACM and ACM-W student chapter with a faculty coordinator and both student as well as staff members. 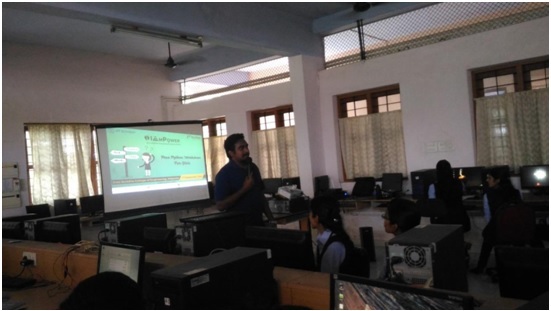 As part of this campaign a hands-on learning session on Python was conducted at the Department of Computer Science & Engineering in the college on the 1st October 2016 from 9:30 am onwards. This was a one full day session with hands-on practice for the participants. 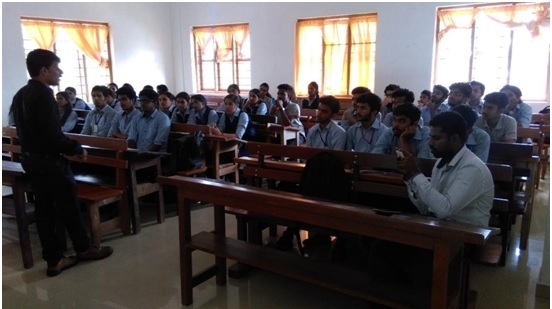 All the first year BTech Computer Science and Engineering students attended the workshop. 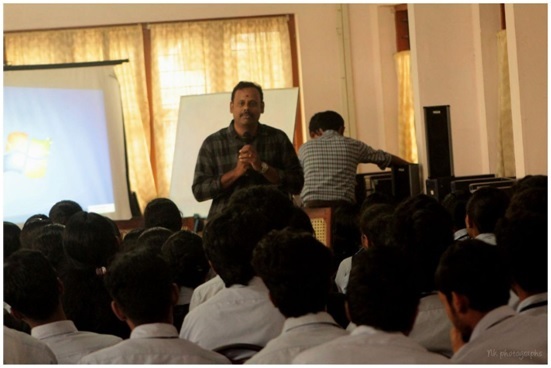 The session was taken by a tutor named Mr. Tony Tom from Hustler @Refly, Palakkad. He took a wonderful session for the beginners and taught from the basic concepts of Python. The students gained a practical experience as well .The topics covered included basic concepts, printing and swapping numbers, various loops in python, append operations, use of lists, functions, arrays etc. During the session we also played some technical videos sent from IIT-B teams for exposing the students to few recent developments in the engineering field. As part of academic curriculum the first year students have Python as one of their subject and so this session will surely help them learning the language. So this prior effort of workshop would put a sturdy base for the students on learning and gaining practical knowledge in python. The session ended at 4:15 pm with a doubt clearing session and students feedback sharing. The students had a positive opinion regarding the workshop and they shared their suggestions with the tutor. The workshop was a great success. 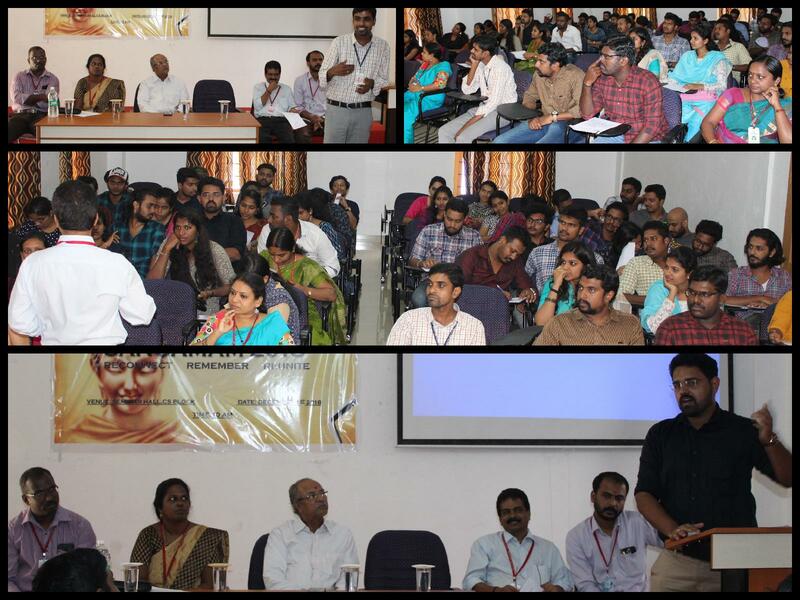 The Kerala State Student Convention of Computer Society of India (CSI) was held on 19 February 2016 at Sree Buddha College of Engineering. The convention was inaugurated by Shri. 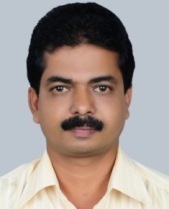 Santhosh Kurup, CEO, ICT Academy of Kerala. Around 106 students from various colleges including CSI student members registered and participated in the convention. 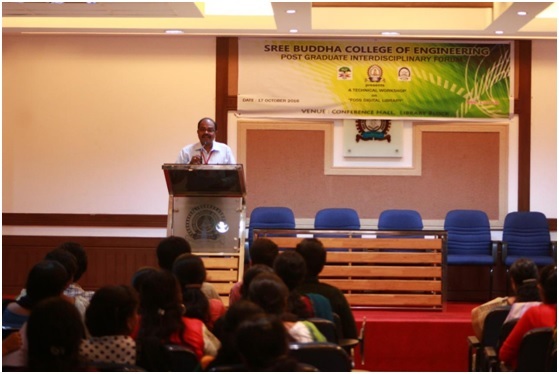 The inaugural function was held at the Conference Hall of Sree Buddha College of Engineering. The inauguration was presided over by Shri. K. K. Sivadasan, Treasurer, Sree Buddha Educational Society in the august presence of Dr. S. Suresh Babu, Principal, SBCE, Dr. K. Govinda, RVP, CSI-Region 7 and Prof. Suresh Thangakrishna, Tamil Nadu State Student Coordinator. 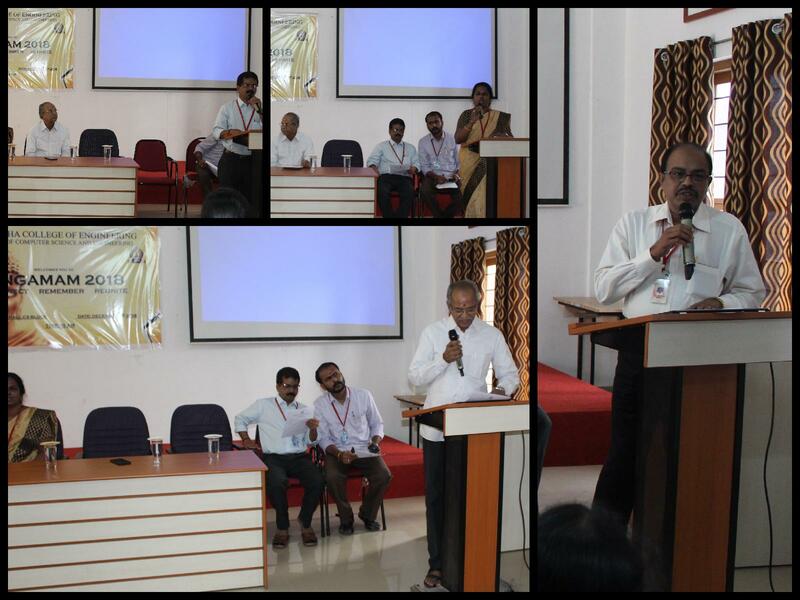 Prof. Anil A. R., HOD-CSE and Kerala State Student Coordinator welcomed the gathering. Chief Guest Shri. Santhosh Kurup delivered a really inspiring and thought provoking session on the theme of the convention, “Emerging Technology Trends for Sustainable Development”. Dr. S. Suresh Babu, Principal, SBCE also stressed the importance of having new innovations in this area. Shri. K. K. Sivadasan, in his presidential address touched upon the technological innovations made by the Indians from ancient times and observed that the pace of technological development in India has now slowed down. Dr. K. Govinda felicitated the gathering by his address. 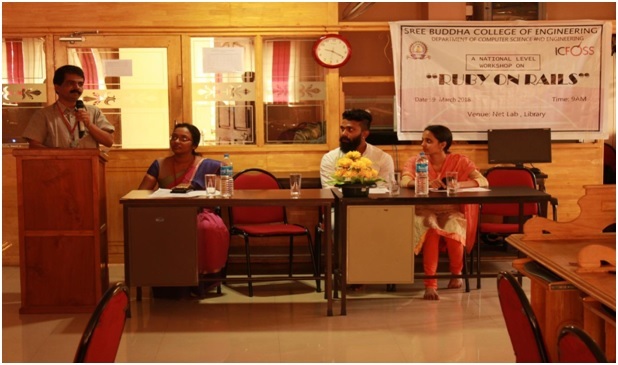 Ms. Lakshmi S., SBC of Sree Buddha College of Engineering proposed the Vote of Thanks. Next to the Inaugural function, Mr.S. 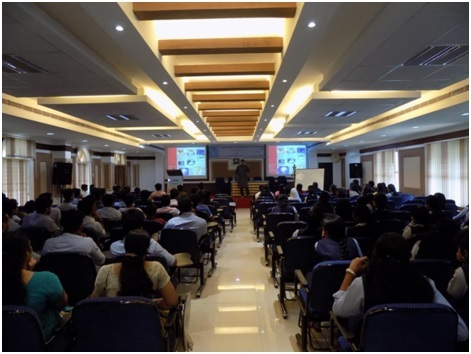 Manikandan, Director, Target Soft Systems, Chennai delivered a technical session on Mobile Applications Development. The Code Debugging contest started after the technical session in which a number of students from various colleges participated. It was followed by the Quiz Competition which also saw the participation of teams from various colleges. The afternoon session had the Paper Presentation Contest in which different papers were presented based on different advanced technologies. Computer Society of India(CSI) is the first and largest body of computer professionals in India. It was started on 6 March 1965 by a few computer professionals and has now grown to be the national body representing computer professionals. It has 71 chapters across India, 418 student branches, and more than 90,000 members. 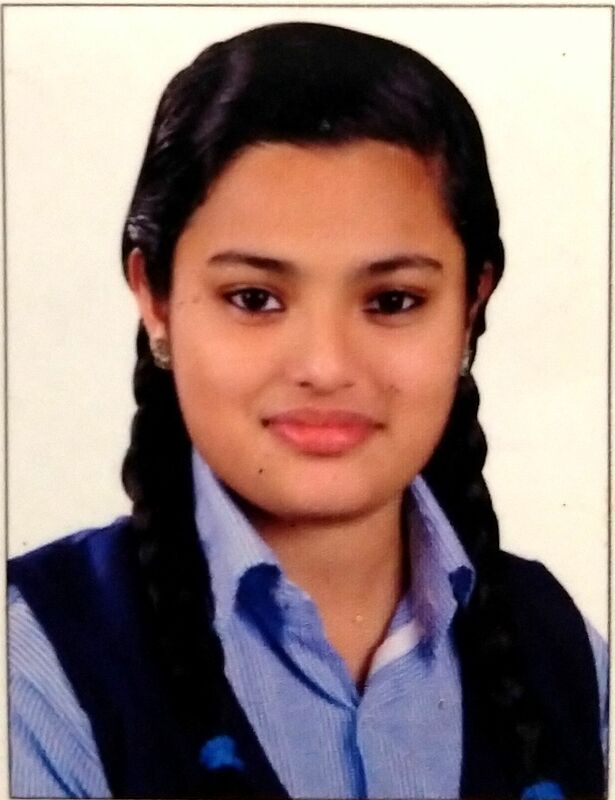 CSI student branch started its functioning in SBCE in July 2012. The Association for Computing Machinery(ACM) is an international learned society for computing. It was founded in 1947 and is the world’s largest scientific and educational computing society. ACM brings together computing educators, researchers, and professionals to inspire dialogue, share resources, and address the field’s challenges. ACM supports the professional growth of its members by providing opportunities for life‐long learning, career development, and professional networking. ACM student chapter started its functioning in SBCE in 2012. ACM-W supports, celebrates, and advocates internationally for the full engagement of women in all aspects of the computing field, providing a wide range of programs and services to ACM members and working in the larger community to advance the contributions of technical women. ACM-W student chapter started its functioning in SBCE in 2016. CYBORG is the department association of Department of Computer Science & Engineering. It was established in the year 2010. Gopu Darsan,“Enhanced Expert Finding using Behavioural aspects”, KETCON , February, KETCON 2018. Gopu Darsan , “An Efficient NLP based Topic Expert Identification in Social Networks”, Engineering Education for Facing the Future 2018 (E2F2 2018) National Conference on Eco-friendly Technological Innovations for Sustainable Development (NCETISD), April 2018. Gopu Darsan,“Finding of Experts using Behavioural aspects”, Springer International Conference on Soft Computing Systems”, ICSCS-2018 , April 2018.Akhila Krishnan A, ReebaR ,”Vehicle Tracking With Car Following Models &Vs-Imm,” International Journal of Engineering and Technology(IRJET) Publication, vol. 4 Issue No.10, October 2017. Akhila Krishnan A, Reeba R ,”Trustworthy Parking Community System,” International Journal of Engineering and Technology(IRJET) Publication, vol. 4 Issue No.10, October 2017. Akhila krishnan A, Reeba R , “Efficient trustworthy parking community system with QR code ”, KETCON , february, KETCON 2018. Akhila krishnan A, Reeba R , “Hybrid Factor Route Recommendation”, Engineering Education for Facing the Future 2018 (E2F22018) National Conference on Eco-friendly Technological Innovations for Sustainable Development (NCETISD), April 2018. Anaswara R, Dhanya Sreedharan, “ An Investigation on Myocardial Infract Localization in Medical Images”, International Research Journal of Engineering and Technology (IRJET) Publication, Vol 4 Issue 11, November 2017. Anaswara R, Dhanya Sreedharan, “ An Investigation on Human Organ Localization in Medical Images”, International Research Journal of Engineering and Technology (IRJET) Publication, Vol 4 Issue 11, Jan 2018. Parvathy R, Anil A R , “A Survey on Ultrasound Beamforming Strategies”, International Research Journal of Engineering and Technology (IRJET), Volume: 04 Issue: 10 | Dec -2017. Parvathy R, Anil A R , “A Survey on Needle Tip Estimation in Ultrasound ” International Research Journal of Engineering and Technology (IRJET), Volume: 04 Issue: 10 | Jan -2018. Parvathy R, Anil A R, “Real Time Needle Tracking In Ultrasound Images By Statistical Filtering”, KETCON , January, KETCON 2018. Parvathy R, Anil A R, “Robust Real-Time Needle Tip Estimation and Tracking in 2-D Ultrasound Images Using Statistical Filtering ”, Engineering Education for Facing the Future 2018 (E2F2 2018) National Conference on Advanced Computing and Communication (NCACC’18), April 2018.